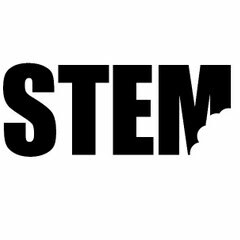 I’m excited to introduce a new project: STEMbite. I’ve made my first video in the series (using ‘Frugal Glass’ since I don’t have the real thing yet) – you can check it out below. My goal is to post one new video each week. Enjoy, share, comment. Very cool, Drew! I’m thinking that this would have applications in musical instruments. I know that everything has a frequency at which it wants to resonate and sometimes you’ll hear a particular note that really jumps out from an instrument or will make something else in the room vibrate a lot when you’re playing through an amp. Would these be examples of standing waves for these objects? Yeah, Dean, for sure. When you change the length of the string on a guitar, for example, you are in effect changing the frequency that it wants to resonate at. When you pluck the string, lots of frequencies get excited, but only the natural frequencies are the ones that stick around and make the note.